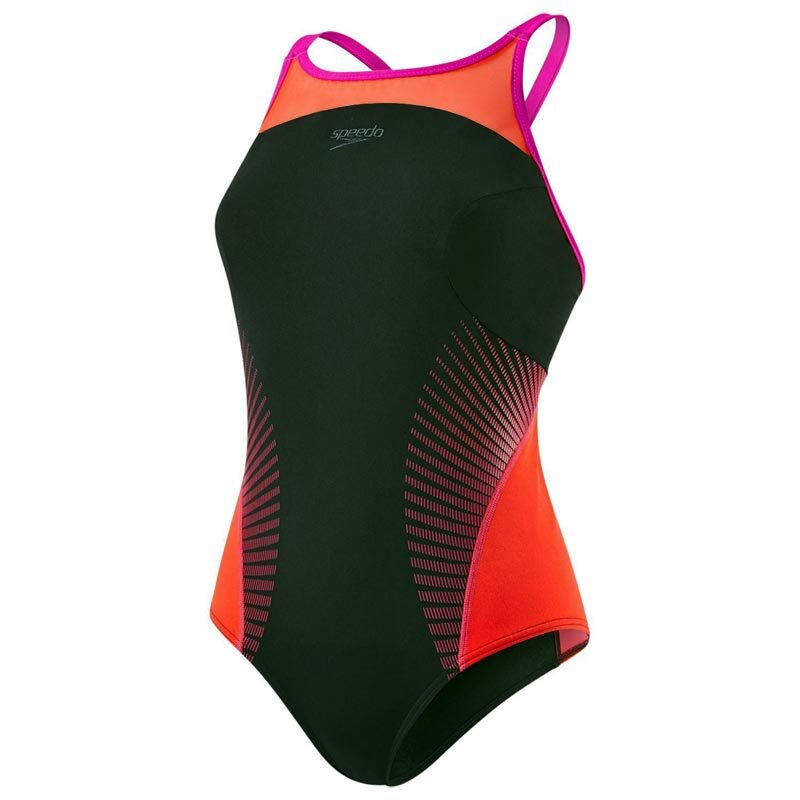 Packed full of Speedo innovation, the Speedo Fit Splice XBack Swimsuit can help you improve your body positioning in the water and swim faster. Engineered for training, this suit is made from Endurance+ fabric, which is 100% chlorine resistant and designed to last for longer. Lightweight core compression panels - draws attention to your core, encouraging you to maintain a better body position in the water. 360 bust support for added comfort and security. Softer, smoother straps enhance comfort. 100% chlorine resistant, so you swimsuit won't degrade in the swimming pool. I LOVE this costume so much it’s the 3rd one I’ve bought. The stitching went around the neckline in the previous one but for sth I wear for about 3 hours a week it’s not a problem. First, it has a high back and neckline so you don’t show cleavage under water. Second, it’s a great fit (I always go up a size with Speedo). 3rd it’s a great colour combo. I can’t imagine a better costume for semi-serious swimming. Loved this swimsuit bought it for leisure swimming in the pool. Unfortunately with so much Lycra in the lining netting it was a really tight fit. I had great difficulty getting it off when wet. Gave it to my friend and it fits her perfectly she loves it too.